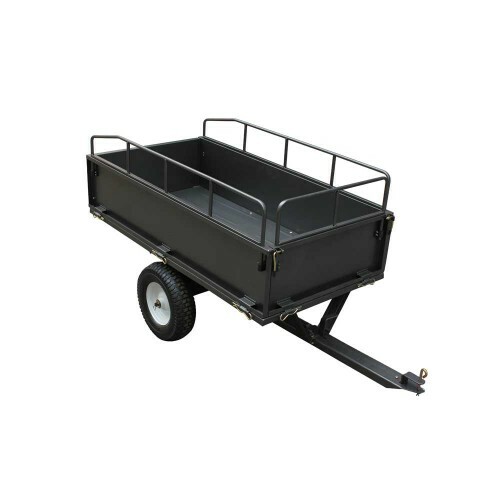 The Tondu TSC1200 Utility Steel Cart is ideal for unloading soil, gravel and sand with a capacity of 1200lbs and a large trailer bed that measures 150cm x 77.5cm x 51.6cm. 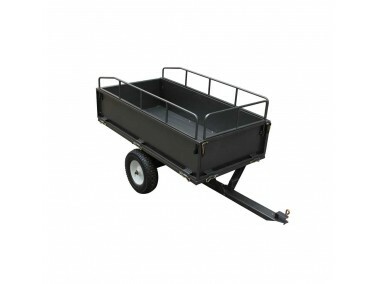 It features a foot pedal release mechanism for easy dumping and can be assembled in 25 minutes. A multi hitch makes it suitable to use with all makes of lawn tractor.